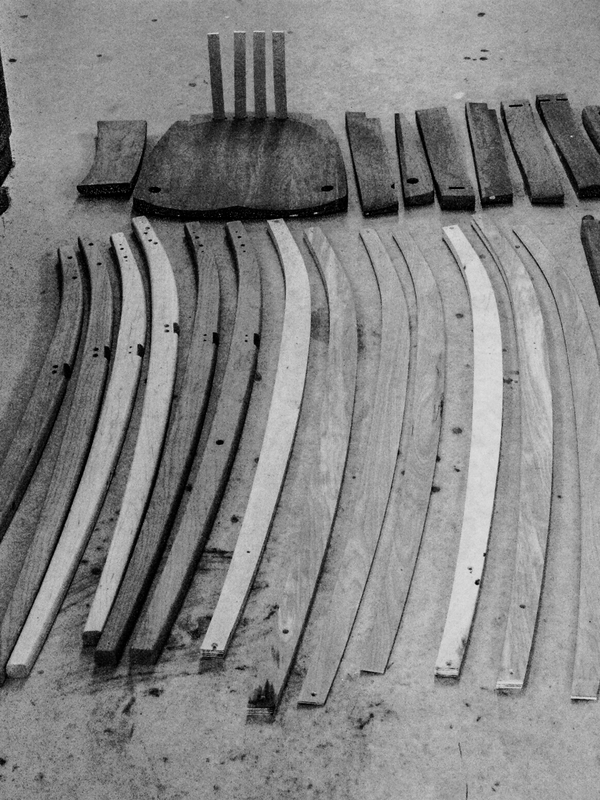 We design a chair or barstool by working from human topography to wood sculpture. We build a fitting booth and hang a seat and back in it at locations reasonable to common sense. We ask people to sit and comment. For the Heflin Barstool’s first "sitting," we had the help of 30–35 people: friends, family, and guests to the showroom. Guided by the comments of the sitters, we adjusted the pitches, angles, and dimensions and filled in the curves and contours. Once a mean had manifested, we projected the principle points to the side, back, and bottom of the booth and plotted them on the drawing board in three views. On the drawing board, the points are the givens — not the solution. Connecting the points, refining the lines, conceiving the joinery, and imagining the forms provided a plan for construction. From the drawing, we built a prototype to test for comfort and judge as a three dimensional work of art. We built another...and another. Developing the Weeks Rocker required building two prototypes. 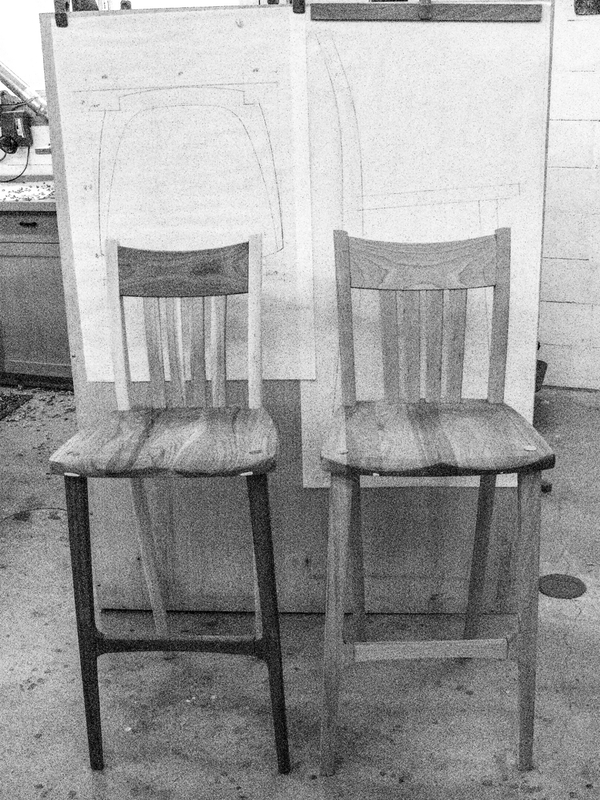 The Wilson dining chair took two prototypes. The Williams, five. We had to build seven prototypes to perfect the Heflin Barstool.